The “stars will rise” part was quite obvious. I was like “Stars will rise? As in, like, Windstar and Thunderstar and Shadowstar, etc. ?” I didn’t get the splitting the sky part until it actually happened though, and that was pretty cool. But the “and later” part seemed a little awkward. Still a lot cooler than “Fire alone” or “Darkness, air, water, sky” though. Hmm…Tis’ curious. I thought the opposite. I thought the splitting of the sky would be something lightningish, but was pretty confused about the stars rising. I guess I thought it would also be a sign or something having to do with something natural (like the lightning). First off, I’d just like to say I loved this book. It was one of my favorite super editions. I really enjoyed reading it and the manga at the end was so cute and sad! So, now on to the questions. Can you confirm any of the cats the gave the other four leaders their nine lives? Although, it is kind of obvious to me that Gray Wing will have given all five leaders a life. I’ve been thinking this for awhile, but did Petal ever have feelings for Clear Sky? I thought is was implied in The Blazing Star, and I still wish they had been a couple, even though I do think Star Flower was an interesting choice of a mate for Skystar. Can you confirm any of Blue Whisker’s kits’ names, genders, or fur/eye colors? And who is Owl Song? I thought maybe it was possible he was Thunderstar’s and Violet Dawn’s kit, since I don’t think it was said what Clan they were in. One more. Do you think Riverstar and Night could have possibly been mates? I think it would be interesting for Riverstar to have a mate, and I agree with Dappled Pelt that he would make a good father. I think it’s Snail Shell. A lot of people have been wondering if the DotC cats will make an appearance after MFV, but with the direction the series is heading I don’t think they will have an arc to themselves. I think that when AVOS is being published, we should get a glimpse at DotC life through super editions and novellas. It would be the reverse of the situation when DotC was being published. I know a lot of people are excited for the Pinestar novella, but I’d gladly sacrifice it to stay with the same character from the old series. I had an idea, just thought I would put it out there. Code of the Clans covers the governing laws, but it doesn’t give reason to the older traditions of the clans such as naming conventions, mentor assignments, and nine lives ceremonies. MFV and DotC offered us a peek at some of the traditions, but I think that some of the stuff was missing. I think it would be a great idea to make another guide book called Traditions of the Clans that showed how the remaining codes came to be. Oh! That is a great idea!! I’ve been wondering about how the naming conventions first came about, especially since we haven’t seen that much so far. To me that was the most heartbreaking scene in the entire book. I may or may not of been bawling my eyes out on that line. 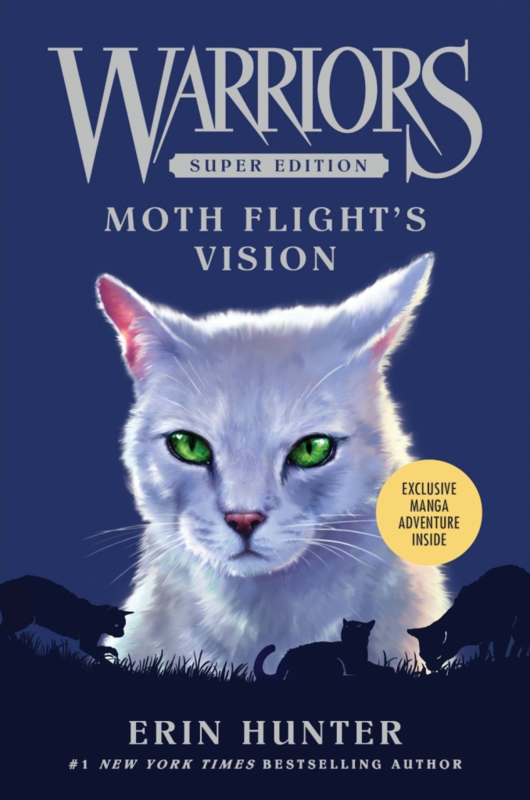 I cried for most of the book but that scene between Moth Flight and Windstar was the scene that started my crying. Good scene when it brings out that much emotion from reading it because it’s easily imagined happening real life scenarios. Very sad and honestly, a bit shocking.